Junagadh is an ancient location in Gujarat associated with many legends of spiritual mysticism. It is home to the Girnar hills, a group of mountains, speculated to be existing even before the Himalayas and extremely revered and sacred for being home to many spiritual ascetics who have found enlightenment here. Hence it is famous for being an important pilgrimage site for both Hindus and Jains. Hence Girnar is also known as Girinagar, the city on the hills. 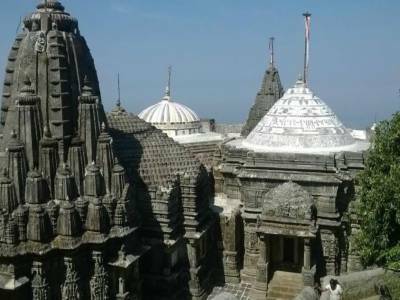 Interestingly while Girnar is one of the prescribed pilgrimage spots revered in Jainism, it is equally revered by Hindu ascetics of different sects who pledge their reverence to the Hindu deity Shiva. Such is the confluence of religious pilgrims and ascetics coming to pay their respects to Lord Shiva, Girnar is also home to the Maha Shiv Ratri fair which is held on the auspicious day dedicated to the worship of Lord Shiva. The Girnar hill is flocked equally by pilgrims of all religions including Hindus, Buddhists and Jains during the Girnar Parikrama festival which involves circumambulation of the base of the Girnar Hills for religious reasons. For Jains, it is considered the spot of enlightenment and attainment of salvation during meditation for the last of the Jain Tirthankaras, ascetics responsible for the promulgation of the alternate sect of Jainism. For Hindus this spot is revered as the Lord Dattareya, the primordial saint or Yogi in a sect of Hinduism, where he is often said to be the teacher of the Hindu deity Lord Shiva. While in Nepal he is worshipped as a deity, in many parts of India he is worshipped as a syncretic deity that is an incarnation of the 3 main founding deities of Hinduism, Shiva Vishnu and Bramha. Lord Dattareya is said to be the founder of the Nath sect of Hinduism who are all followers of Lord Shiva whom they believe to be the first Nath. 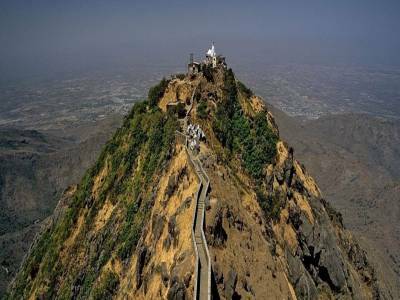 As per Hindu mythology, Girnar Hills is said to be the place where Sri Krishna slayed mighty Yavana warrior Kalayavana. Notwthstandingly, the site is an important place of religious significance even for Buddhists. At a height of 3676 feet above the sea, and considered older than the Himalayas, Mount Girnar is home to various Jain temples and is one of the most astounding mountains capes of India. Further beyond the Jain temples at a height of 200 feet above, a rugged trekking route leads you to a spring of fresh water. At the summit is a shrine dedicated to Lord Dattareya and preserves his foot prints for paying respects. The place is revered by both Hindus and Jains alike. During the pilgrimage of Girnar hills, The first temple of lord Neminath is situated on the 4,400 steps revered by Jains are both historical & architectural marvel and then Second Temple of Goddess Ambaji is situated on the 5,200 steps, and the Last and highest temple of Lord Dattatreya is situated on the 10,000 steps, which is popularly known as ‘Guru Shikhar’ or ‘Datta Shikhar, it is a major Hindu pilgrimage site atop of hill. 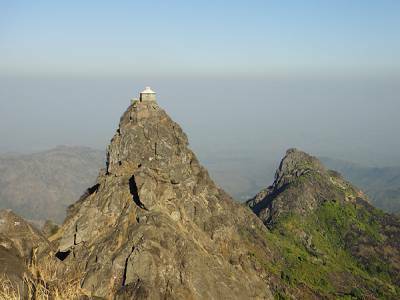 Other than a religious destination, the Girnar Mountain is also famous for its trekking destination. One of the most beautiful, difficult and adventurous treks, to reach top Girnar hill which is an 10,000 step stair travel from the hill below and takes about 5-6 hours to complete. Get quick answers from travelers who visit to Girnar Hills.